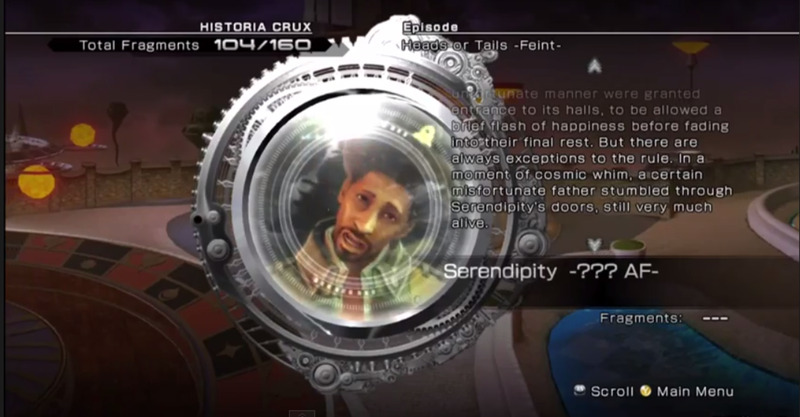 Serendipity Poker is one of the DLC minigames for Final Fantasy XIII-2, a video game in the Final Fantasy series. This card game is basically Texas Hold 'Em with a few minor variations. I've found the computer opponents to be a little more complex than Ken's guide to the game suggests. So let me share my basic Serendipity Poker strategy, plus what to do depending on whether you've got bold, wimpy, or reckless opponents. This is Sazh. In Trouble. As Usual. This page is about a fictional card game within a video game universe. No real-world money can be bet, lost or won. It's part of a fictional story in which one of the characters (right) has to play games in a surreal pocket of the afterlife in order to "win" his son back and help them escape. Ahem. 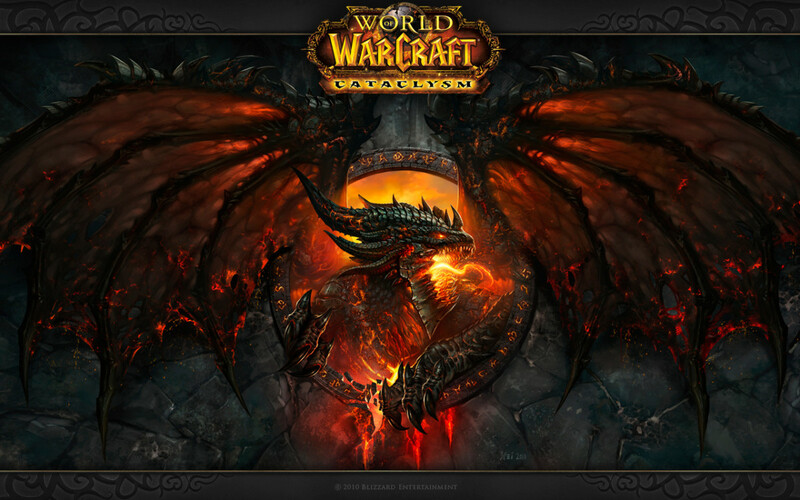 Now, back to Final Fantasy. I'm assuming most gamers have come to this page AFTER you've played Serendipity Poker enough to know the flow of the game: you're just looking for winning strategies. On the other hand, if you are a newbie, please see the bottom of this page for Gameplay Basics, including a free printable poker hands chart! The following video shows two hands. 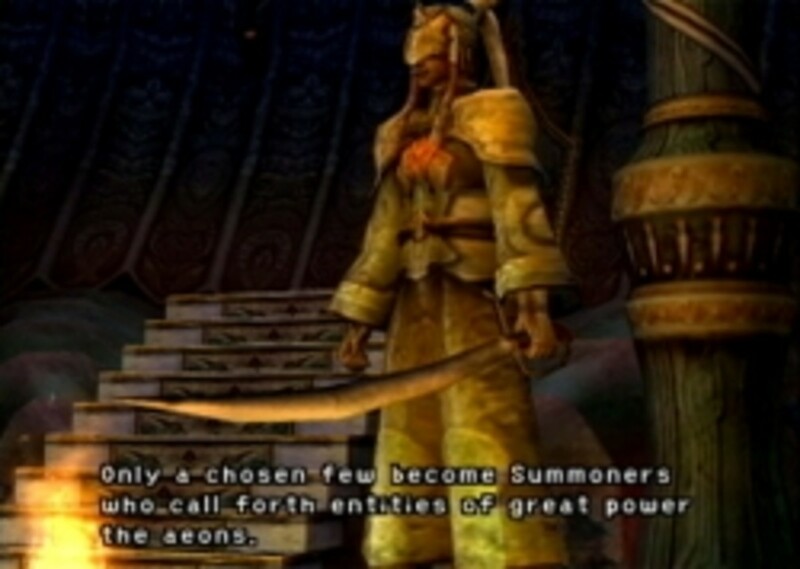 In the first one, the player rashly keeps calling even with no hand at all. In the second hand, the player risks raising the stakes to "All In." If you are doing poorly, Leave the Table, then click the start button and Exit Game. This will return you to the Final Fantasy XIII-2 title screen WITHOUT recording your losses (or winnings) since the last time you saved or entered the Historia Crux. Do not enter the Historia Crux if you've lost a lot! Start by being conservative. It costs you no coins to Fold, if you're not the SB or BB. If there's an option to Check, do NOT Fold. You're not losing any coins by Checking. If a betting war erupts, Fold unless you have something fantastic like a Full House. Two reckless opponents may be bluffing like crazy with no more than One Pair, but there's a chance one of them really does have a good hand. 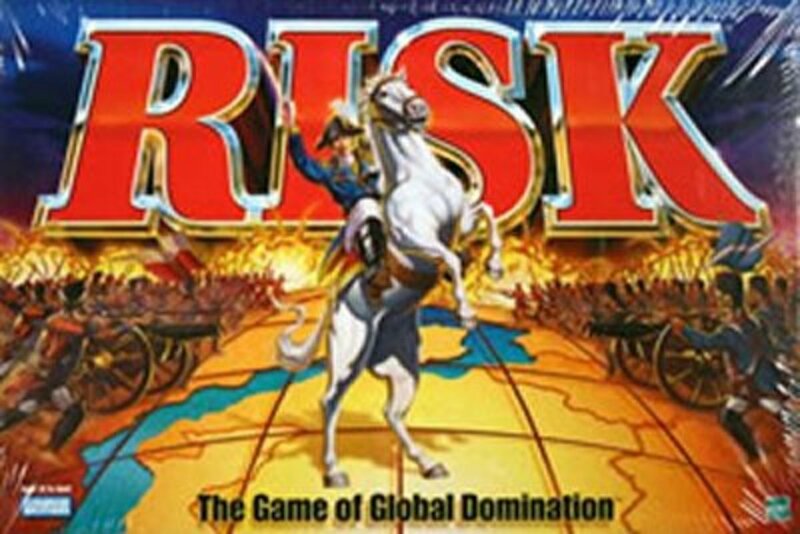 Learn who's a risk-taker, who's not; this gives you clues about their hand. Serge will only bet/raise with Three of a Kind or better; Armando's liable to raise someone's bet even if he's got nothing. Remember the kicker. If your pocket cards are mismatched but high (or you have an ace), you may be able to beat One Pair challenges. If your pocket cards are lower than 9 or so, be conservative; even One Pair could be outranked. Most players will Call rather than folding to a bet or raise. The reckless players may even respond to a raise by raising again, regardless of what's in their hand. So, once you've gotten a feel for the game, fatten up the pot with a bet or raise each round if you've started with at least a pair, Pre-flop. Save after you leave a table a winner. That way, if you have to invoke the Escape Hatch, you won't lose them. By observing patterns in when opponents bet or fold, you can soon learn to guess what kind of hand they're holding before you've committed too many coins to the pot. The most important point to remember is that opponents treat cards on the table and in their pocket the same way, never taking into account the kicker. This means that if an opponent doesn't bet Pre-Flop, and bets right after the dealer puts a card on the table, then their pocket cards are mismatched, and they just matched that table card somehow. (Tip: if it's a low card, like a two, an aggressive opponent may be betting too highly on a lowly pair of cards and will be easy to beat). Also, if opponents only bet after a pair appears on the table, they may have NOTHING in their pocket. You can usually beat them then if your pocket cards also make something. For example, if there's two Kings on the board, any but the wimpiest player will bet on the premise that they have a good pair. But you ALSO have that good pair, since it's on the table. If you've also got an Ace, or you've got any other pair, you'll probably beat them! Different players are more or less aggressive. I think the same-named player always acts the same way, but I haven't played enough times to be sure. I've divided them into Wimps (fold Pre-Flop or Flop if they haven't gotten at least a pair), Reckless (will bet or call even if they have NOTHING), and Steady (in between these two extremes). Here's that video I showed you above. Pay attention to Eva in the second hand. Eva's shown me before that she's reckless, although not quite Armando-crazy. Here, she doesn't Bet until the Flop, so her pocket cards are NOT a pair (or she would have raised the bet during Pre-Flop). Since she didn't bet until the Flop, that means she must have matched one of the Flop cards with a pocket card. So as soon as she bets, we can deduce she must have at least One Pair of 8s, 10s, or Queens. This is why Sazh's "All In" wager isn't entirely crazy: his One Pair of Kings could beat any One Pair of Eva's. 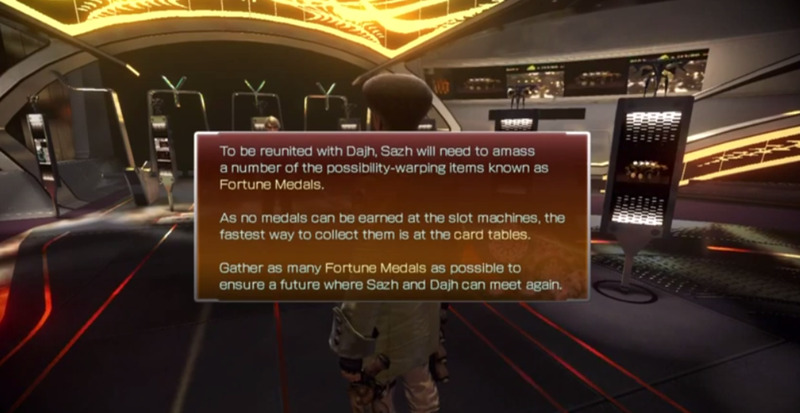 However, Sazh is taking a risk. It's possible that when Eva bet after the Flop, she had gotten two pairs, matching each of her pocket cards. Two Pairs beat One Pair. Most players will Call if you raise x4 during Pre-Flop betting. And most players will Fold after an "All In" call, unless they've got a really exceptional hand like a Full House. So you can Raise x4 during Pre-Flop, Bet once or twice, then Raise "All In" on the "River" (fifth card). That way, when they Fold, you'll get as much as possible. Don't do this with Armando or other really reckless players; they may call your bluff. Different kinds of players have quite different approaches, and you'll be able to adjust your strategy and guess their hands once you've watched them for a few hands to figure out who's what. Wimps like Serge are the easiest to spot and deal with. They'll Fold during Pre-flop if they've got low, mismatched cards, and they Fold after the Flop if they still don't have anything They'll Check with One Pair. They'll Bet or Raise only if they have something especially good, like a Full House. Yet, if they've got at least One Pair, they'll go with the flow and Call after someone else Bets or Raises... at least until someone says "All In," then they fold like a cheap tent. Reckless players like Armando are harder to handle. I've seen him bet on the Flop even with nothing in his hand. Reckless players will bet the instant they get One Pair, and if there's another reckless player next to them, they'll escalate a betting war even if one of the two of them has nothing at all! You should fold and let them take each other out. Often, reckless players will Fold following the "River" (fifth card) if they still have nothing. You'd think Reckless players would be easy to handle: wait until you've got 3 of a Kind or better, then go All In, and they're liable to go All In and wipe out most or all of their coins (for some reason, All In doesn't take ALL the coins, if there's been a few turns of betting). Just be ready to use the Escape Hatch if it turns out that for once, they really did have a hand worth betting the farm for. Another strategy is to wait them out if the betting stays within your budget: they may bet at the Flop, but don't be fooled, they could fold two cards later. Steady players do a little of this and a little of that. They'll often fold on the Turn (fourth) card if they don't have anything yet, even if it would cost them no additional coins to Check. I like to chip away at these players with a bet each turn, once I see that my hand will make at least something. Steady opponents will almost always Call raises and bets. Then watch carefully to see whether they bet Pre-flop (which means they have One Pair in their pocket), or place their first bet after the Flop (which means a pocket card just matched something on the table). Compare their likely hands to what you've got, and bet or check accordingly. If you get to the last card on the table, you've got at least two pairs, and Mr. Steady has been going check, check, check or call, call, call to your bets, try All In. A steady opponent would've betted with 3 of a Kind or better, so there's a good chance they don't have a great hand. They'll probably Fold rather than risk All In. 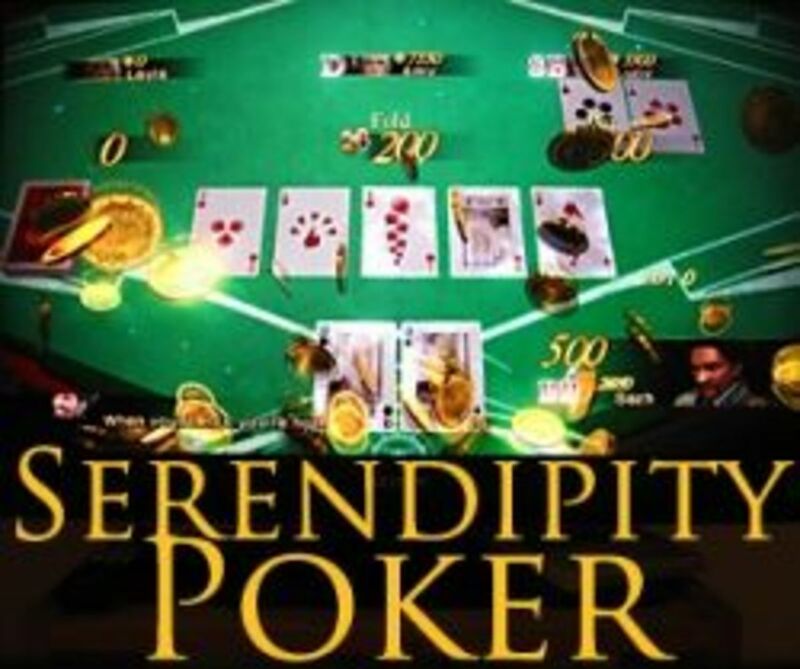 In Serendipity Poker, you try to build the best hand you can from the two cards in your hand ("pocket cards") and the five cards the dealer places on the table. Each turn, everyone has a chance to bet or fold. The person with the best hand who hasn't folded wins the pot -- all the coins bet in that round. There are three levels of games: you start with 1000,10,000, or 100,000 coins (the "buy-in). The default bet is 10, 100, or 10000 depending on which level you chose. 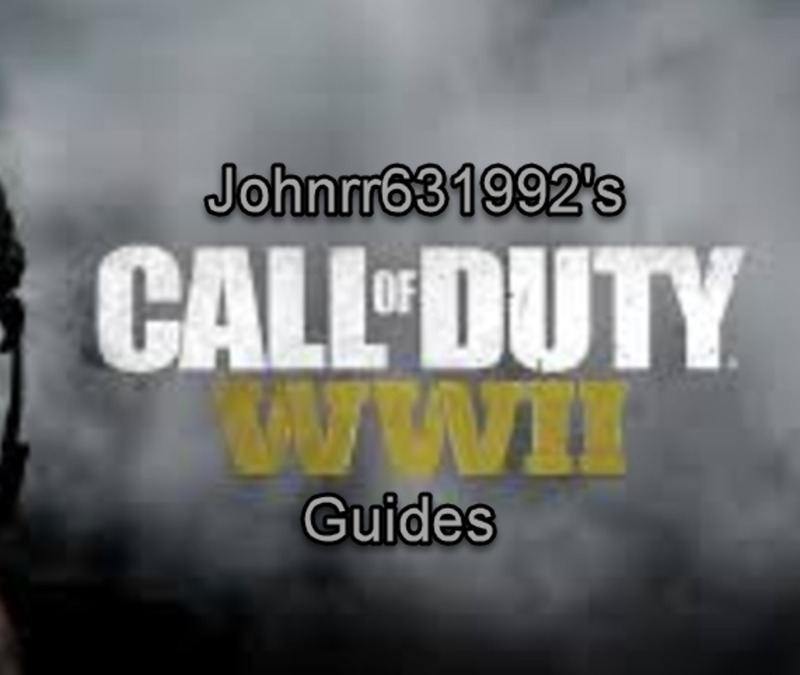 Here's the order of gameplay. Start: Everyone receives two "pocket cards." Preliminary bets: Before the dealer places any cards on the table, people must establish preliminary bets. The SB (Small Bet) player to the right of the dealer must bet half the default bet, followed by the BB (Big Bet) player who must meet the default bet. Call: If someone's raised the top bet since your last turn, you must Call to match the top bet or Fold. Check: If no one has raised the top bet since your last bet, you may Check (pass). This means you don't have to commit any more coins to the pot. Bet: If no one has bet this round, you may bet the default bet. Fold: Instead of committing any more coins to the pot, you fold. Any coins you've already betted during this round are lost into the pot. Flop: The dealer places three cards on the table. Players now examine their pocket cards plus the table cards to see if they can make any good hand with any combination of these five cards. Another round of betting occurs after the Flop: again, one can Check (pass), Call (meet someone else's bet), Bet (add the default bet), Raise (respond to a bet by betting higher), or Fold. Turn: The fourth card is placed on the table by the dealer. Another round of betting follows. River: The fifth and final card is placed on the table. Another round of betting follows. Showdown: Any players who have NOT Folded reveal their pocket cards. The player with the bets hand wins the pot. When matching your Pocket Cards with cards on the table, you're looking for the following combinations. These are listed from weakest to strongest, so hands further down the list will beat those above it. For ranking purposes, Ace is the highest/strongest card. If it's an absolute tie -- even the Kicker cards are the same numbers -- then the pot is split. 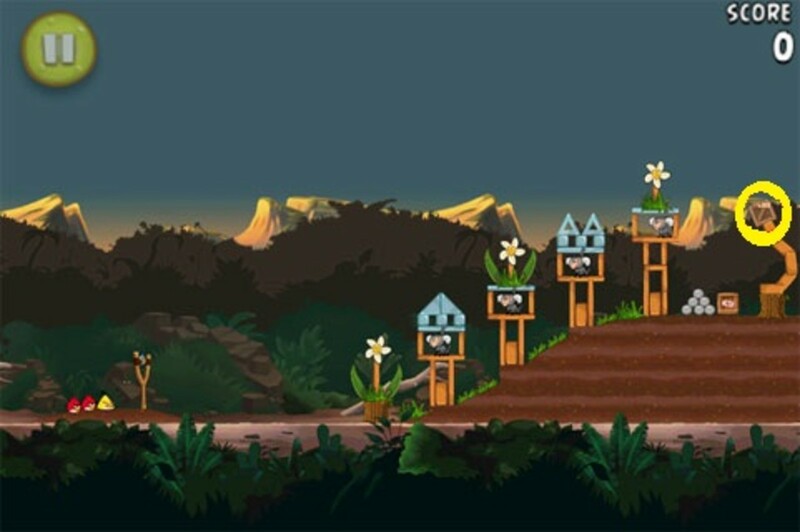 Here's the other new game that you can play in Serendipity. I actually like it more than Poker, because it's a fictional game that's not quite like anything in the real world.